Sunday Sermon ~ Holy Toast! What a trend we have in jesus! The eppylover calls for another thunderous round of hallelujahs for ladyeffingbroke, once again a guest pastor this week. Her contribution is a real, errmmm, godsend. As it were. It's called Miss Poppy.com ~~ and their motto is: What a trend we have in Jesus! ...Well, Lady F, all we can say here at eppylover ministries is... HOLY TOAST! Thankies, ma'am! 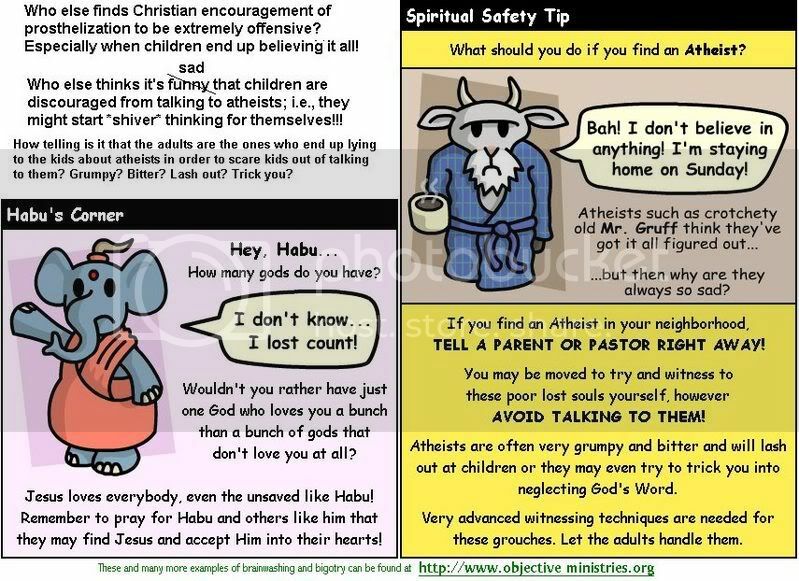 These drawings submitted by little kids to a site called objectiveministries.org only illustrates for me how the indoctrination begins... it's bizarrely amusing until you realize these kids actually believe the things they're drawing, and the adults encourage it. Sick, sick, sick! Go to [ THIS PAGE ] to be shocked and stunned. "Bah! I'm an atheist! I'll spill my coffee on you!" OK. I've had enough. Now leave me alone before I spill my coffee on YOU! Bah! ...Wait, I'm an agnostic. Maybe I can't decide whether to spill my coffee on you? Nooo! Don't get me going on that old chestnut about agnostics "not being able to decide"...! Hmm! Does anyone else see an uncanny resemblance between "old Mr. Gruff" and George Carlin? Hee hee! so I can waste that, too.